This Lensbaby Composer Pro II System Kit is a versatile selective focus kit for Nikon F-mount cameras. It includes the Composer Pro with Sweet 35 Optic, a Sweet 50, and Edge 80 Optic, and 8mm and 16mm Macro Converters. A 14 x 14" lens cleaning cloth and a system bag are also included. Have unprecedented precision control over the "sweet spot" of focus in your selective focus photos with the Lensbaby Composer Pro II with Sweet 35 Optic available here with a Nikon F mount. This updated tool is completely compatible with the established Optic Swap System and can use any of the numerous optics available. This version improves upon the original Pro model by featuring a metal body as well as an improved tilt function that ranges from 0-15° in any direction. The Lensbaby Sweet 50 Optic is made for use with the Composer Pro, which can be bought separately, or used interchangeably with the Sweet 50 if you own it already with a different optic. 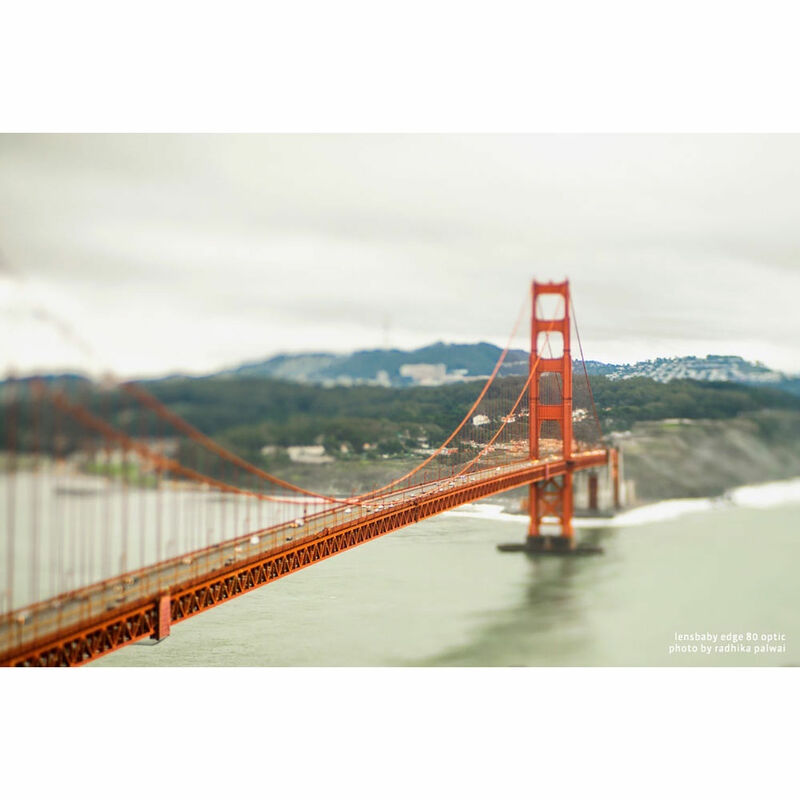 It is a selective focus lens that uses a curved field of focus optic to create a blurred effect around the focus spot. The 50mm focal length lens has two multi-coated glass elements in one group, and an aperture range of f/2.5 to f/22. The 12-blade internal aperture is easily controlled via a ring on the front of the optic. The sharp sweet spot of focus can be moved within the frame by tilting the Composer Pro's ball-and-socket joint. The size of the sweet spot is also controlled by changing the aperture. 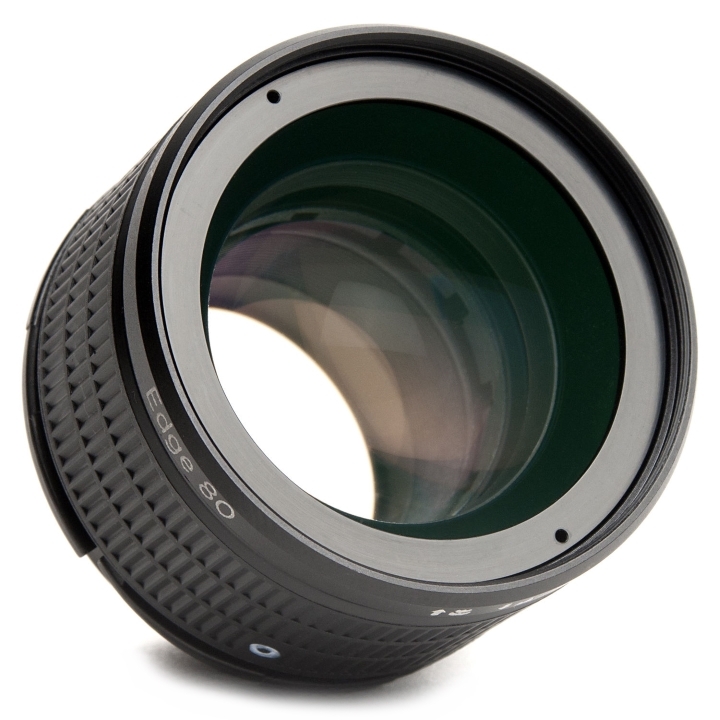 The Lensbaby Edge 80 Optic is an 80mm f/2.8-22 flat field optic with an adjustable 12-blade aperture. This optic is specifically designed to be used in conjunction with a Lensbaby lens body to give you a slice of sharp focus, surrounded by soft blur. The size of the in-focus region varies depending on the aperture and the location of it can be modified by the degree and direction of tilt. The selective focus effect produced is especially desirable for close-up photography, as this lens can focus as close as 17" / 43.2cm when fully extended. This optic is composed of 5 multi-coated glass elements within 4 groups and the 12 rounded aperture blades produce an extremely smooth bokeh. 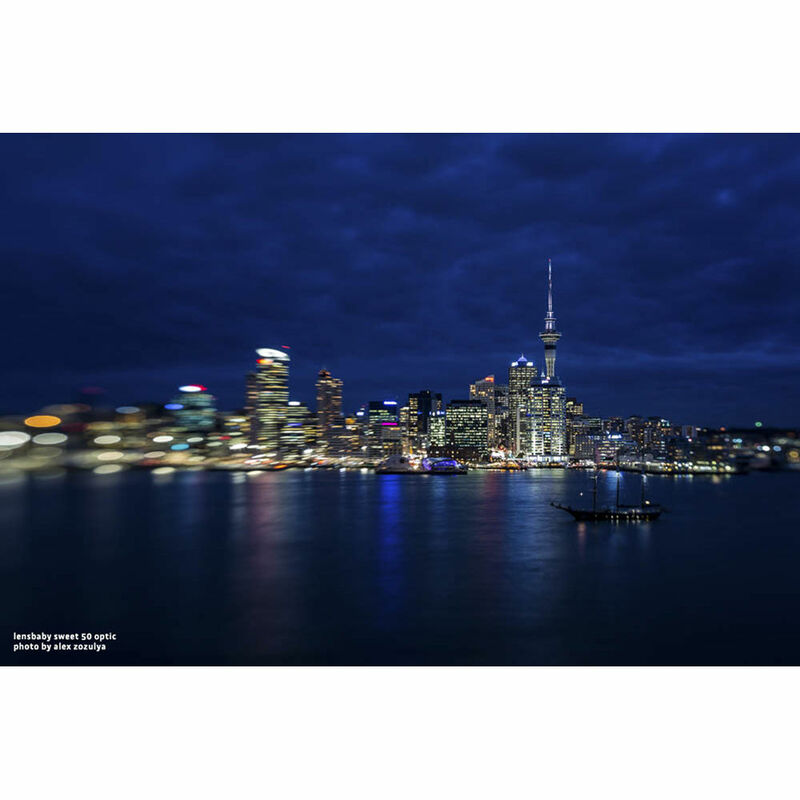 It is compatible with the Lensbaby Composer Pro, Composer, Muse, Scout, and Control Freak lens bodies (Not compatible with the Composer with Tilt Transformer for Micro Four Thirds and Sony NEX cameras). 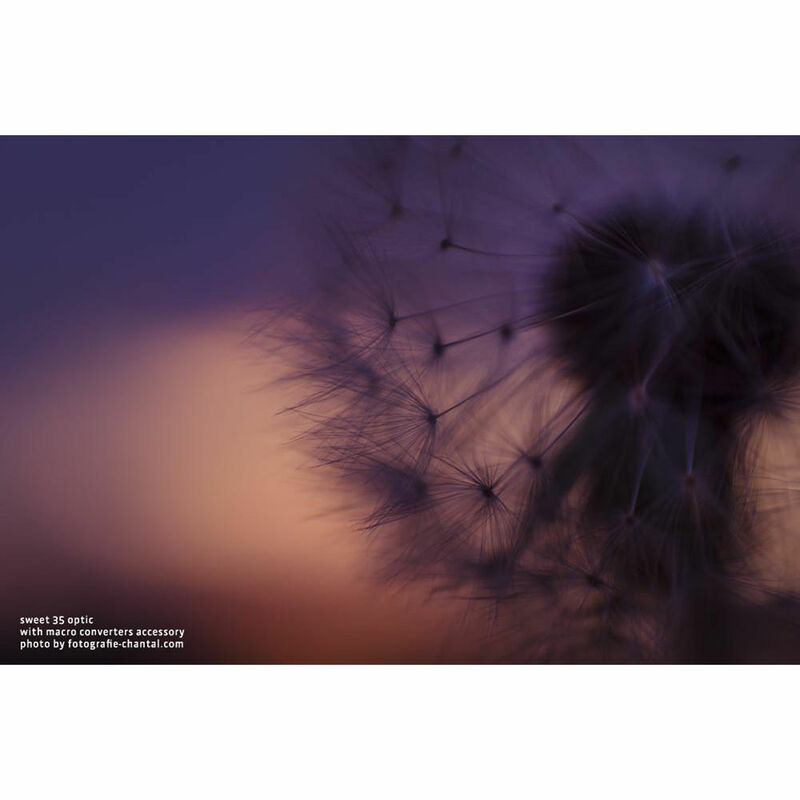 When used in conjunction with a Lensbaby lens body, this optic can provide a controllable sliver of focus surrounded by a smooth, out of focus border. Size of selective focus region is controlled by the aperture; location of the region can be modified by tilting the lens. 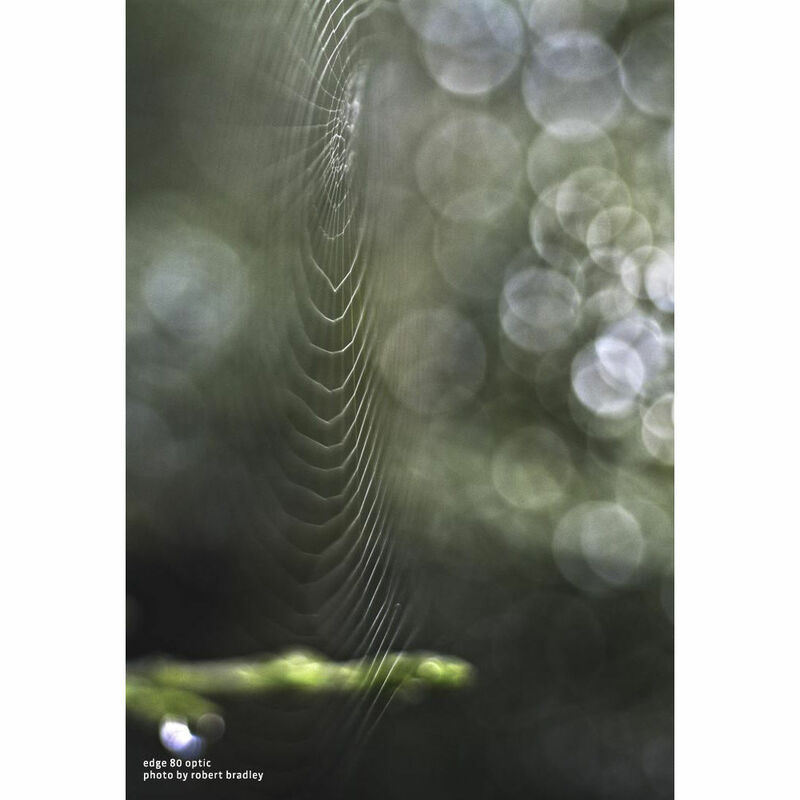 Rounded 12-blade aperture creates a smooth bokeh and is controlled by a dial on the front of the optic. Focus as close as 17" / 43.2cm when lens is fully extended, in macro mode, and tilted. 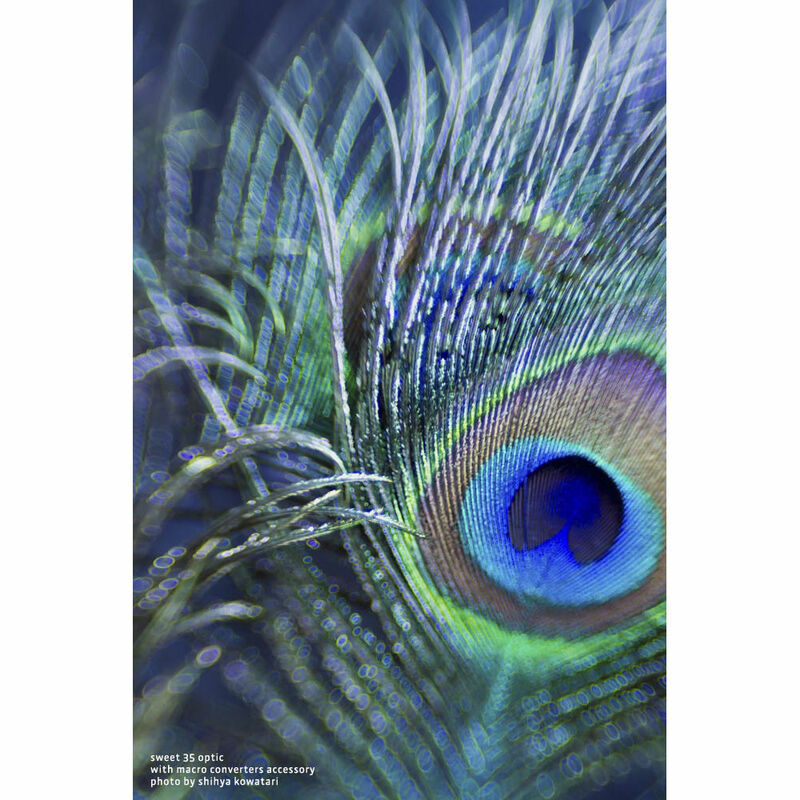 Compatible with the Lensbaby Composer Pro, Composer, Muse, Scout, and Control Freak lens bodies (Not compatible with the Composer with Tilt Transformer for Micro Four Thirds and Sony NEX cameras). 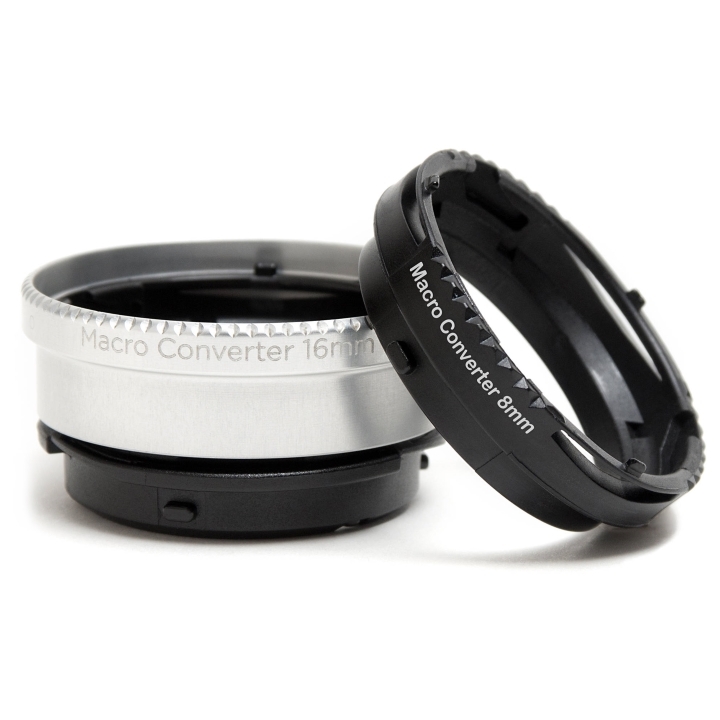 46mm front filter threads allow compatibility with Lensbaby Macro Converters, but do not work with 37mm accessories. Lensbaby's Macro Converter Extension Rings for Lensbaby lets you take that Lensbaby look as close to your subject as you want--even touching it in some cases--and get a picture that's in focus. You can choose the 8mm ring, the 16mm ring (both included), or combine them for a 24mm ring, so you have plenty of control over exactly how close-up you want your photo to be. The converters are compatible with all Lensbaby lens bodies and optics, and provide focus distances of 0" to 8.13", depending on the optic, the camera, and the converter(s) you use. The Macro Converters simply screw into the Lensbaby lens body and the optic screws into the converter. The converters are compatible with Composer, Composer Pro, Muse, Scout, Control Freak and all optics (the Fisheye Optic is only compatible with the 8mm converter, as it allows you to actually focus on a subject that the lens is touching). 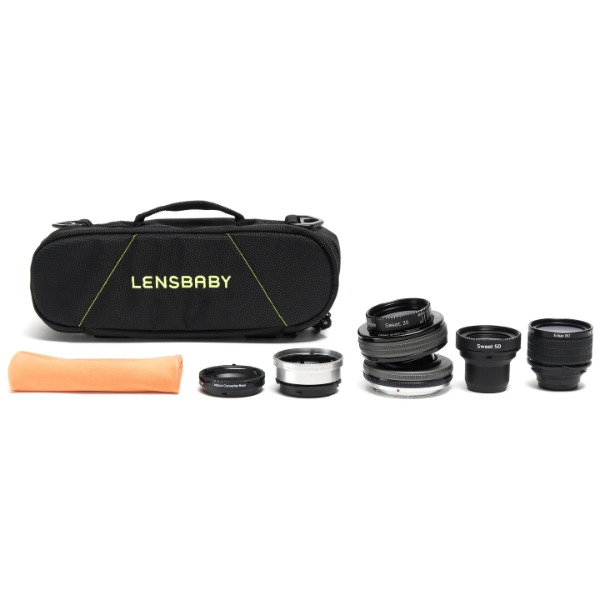 The black Lensbaby System Bag is a sturdy, flexible bag designed to carry many combinations of lenses (Muse, Control Freak, Composer, Scout and Composer with Tilt Transformer), optics or accessories. The removable and adjustable elastic straps inside the bag allow customizing the interior. The sides of the bag feature an easy-access corner flap that enables access to frequently used products. The bag features a variety of pockets, zipper closure, and a clear-mesh pocket under the lid. Carry the bag with the top handle or wear it with the shoulder strap.